Houston Restaurant Weeks give the perfect opportunity to get out and try certain restaurants you otherwise may not normally try for a reasonable price. I decided to take advantage of this, so I made a reservation to have dinner with my boyfriend Jason at Brennan's of Houston. 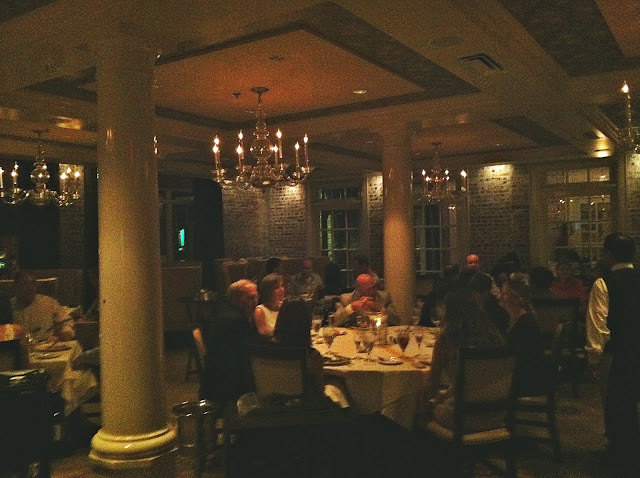 Brennan's, I had heard, is one of the nicest fine dining restaurants in Houston. The food there was supposedly incredible, and as it is not an inexpensive place, why not try it out for $35 a person, which includes a 3-course meal? So my experience at Brennan's. It's very beautiful inside this Cajun fine dining spot. The restaurant is lined with exposed brick, several chandeliers hang from the ceilings, and soft paintings adorn the walls. 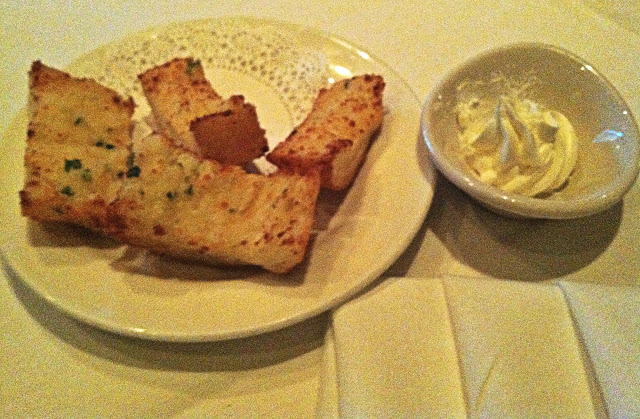 The garlic toast actually came with 6 pieces, but Jason inhaled the first two before my camera stood a chance. And I will say, the food was exceptional. Before any of our food came out, we were given a plate of small pieces of cheesy garlic toast. These complimentary little guys were my second favorite thing that we had. They were gooey, crispy, and packed with garlicky goodness. Excellent little starters. Now in my humblest of opinions, I'm a pretty adventurous eater. 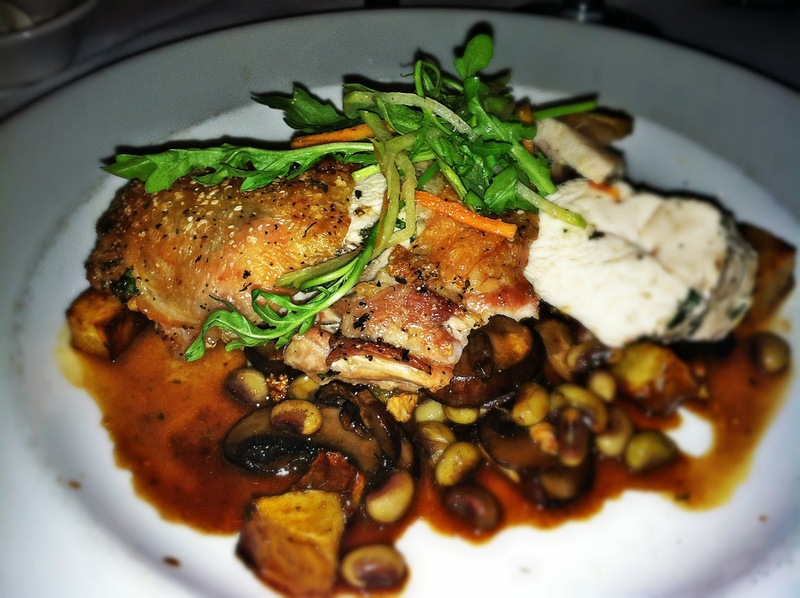 Alligator, escargot, rabbit, and sweet breads are all in the spectrum of things I've tried. While I likely won't be caught eating bugs or snake anytime soon, I have been known to take a risk or two. 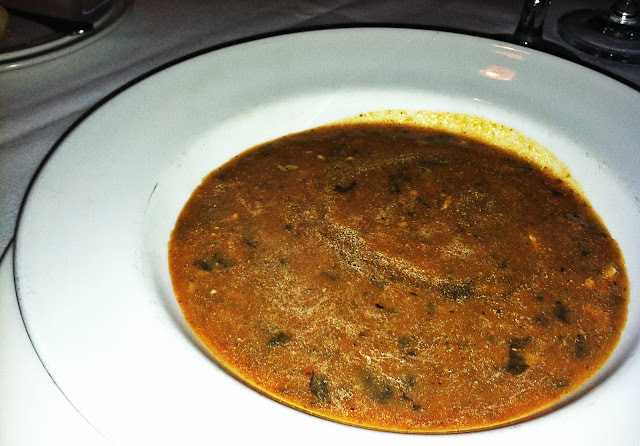 So when I heard about the Turtle Soup at Brennan's I knew that I would have to try it as my first course. I quickly got over any reservations I had about it as I tasted this delicious gumbo-like soup. Heavy on the tomato base, and quite briny, it was not at all what I had expected. But it was fantastic. Breaking out of my shell and trying Turtle Soup. Pun absolutely intended. For my entree I got the Chicken Clemenceau. It was good, definitely better than most chicken dishes. But I wasn't exactly floored by it. The brabant potatoes and red beans that came with it were outstanding though. Even though the chicken wasn't my favorite chicken ever, it was nice and moist, and the pieces with skin still on them were very flavorful and loaded with different seasonings. 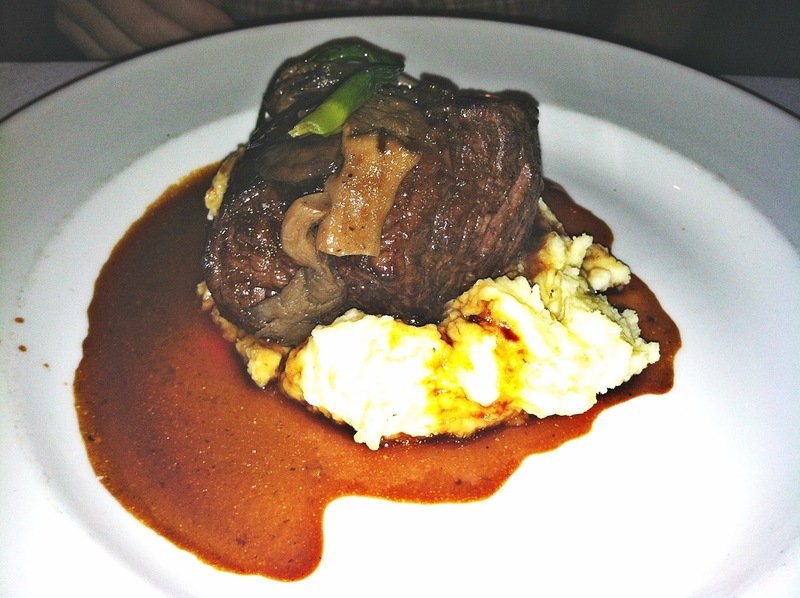 Jason got the Creole Spiced Fillet of Beef for his main dish, which definitely won the award for best entree. It was a hearty cut of beef that was also seasoned beautifully. 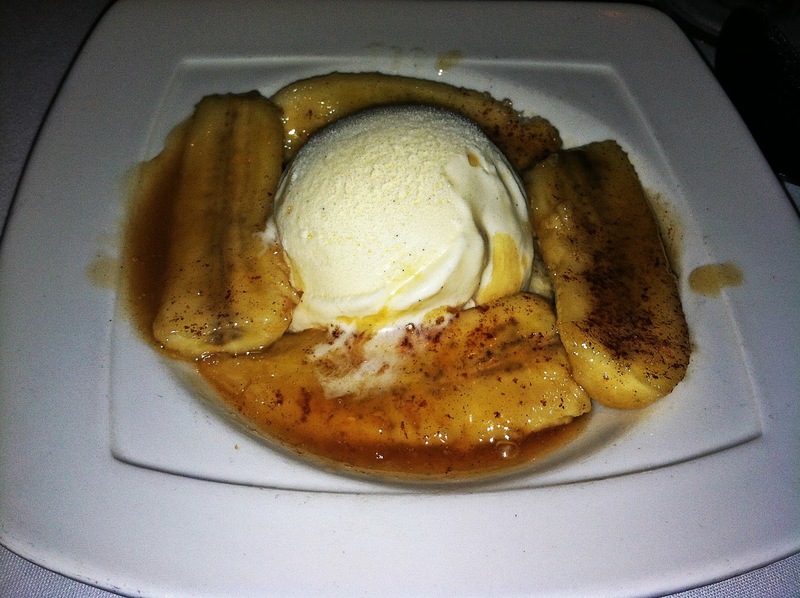 For dessert we both got the much-raved about Bananas Foster. Jason and I agreed that this was the star player for the evening. Your server sets up a little station and flambés it up table-side. And let me tell you, it is quite the production, Benihana style. Flames abound, sparks fly, and the server makes a volcano out of onions and fake-squirts you with mustard! Okay, not that last part. It really is a spectacle though. And the taste? WOW. The bananas! The brown sugar! The ice cream! Just perfect. So yes, the food was great. All that said though, I have to admit we were very disappointed in the service. The waitstaff were all incredibly nice, but we were completely rushed through our whole meal. We didn't get our bottle of wine until halfway through our soup because it came out so quickly, and as soon as we were done with our soup, we were given our entrees. By the time the meal was done, we'd only finished half our bottle of wine, and it's not because we were sipping our wine at a turtle's pace (okay I'll stop). I don't know if it's because we were dining off of the Restaurant Weeks menu or what, but we seemed to have had the complete opposite service I'd had at Hearsay (where we were completely ignored). This time, we were rushed through our meal, as though they needed us out as soon as possible. I knew I wasn't being unfair when my laid-back, low-maintenance bf said something about it to me before I even had voiced the thought to him. When eating at a fine dining, white-tableclothed restaurant, I would expect it to be a longer, more enjoyable experience. Unfortunately, I must say the way we were rushed really did put a damper on the occasion. 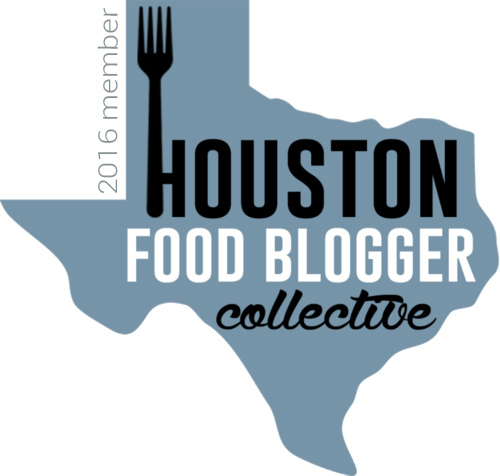 So far, while I like the idea of Houston Restaurant Weeks, my two dining experiences with it have been sub-par mixed bags. We have a reservation for America's in River Oaks this weekend, so here's to hoping my track record ends! Ugh, but now I've got a Benihana craving like you wouldn't BELIEVE.